The Best PCB Blogs from thousands of PCB blogs in our index using search and social metrics. We’ve carefully selected these websites because they are actively working to educate, inspire, and empower their readers with frequent updates and high-quality information. PCB newsletter is a comprehensive summary of the day's most important blog posts and news articles from the best PCB websites on the web, and delivered to your email inbox each morning. To subscribe, simply provide us with your email address. About Blog Randy Clemmons is a PCB Designer, his specialties include RF and High Speed Designs. Follow this blog to know more about PCB designs. About Blog Zuken is a global provider of leading-edge software and consulting services for electrical and electronic design and engineering. Zuken's PCB design software solutions have been changing the world's expectations and ability to design innovative electronic products since 1976. Follow this blog to get more knowledge on PCB Design. California, USA About Blog Technotronix is a Professional PCB Manufacturer in USA offering Custom PCB manufacturing, assembly, fabrication and Prototyping as per customer requirement. Follow this PCB Manufacturing and prototyping blog to know about electronic treads, needs of PCB assembly and fabrication in emerging industry like space, defense etc. Facebook fans 124. Twitter followers 216. Accrington, Lancashire About Blog Quadra Solutions are specialists in CAD software solutions for mechanical, construction & PCB design industries. Follow this blog to get useful resources on PCB design. Facebook fans 54. Twitter followers 1,464. About Blog A blog about PCB reverse engineering using Microsoft Visio. UK About Blog Rush PCB is one of the leading PCB manufacturing, fabrication and assembly company in UK. Follow this blog to know about PCB manufacturing, PCB design, PCB parts and much more. Facebook fans 1,929. Twitter followers 767. San Francisco, CA About Blog Reddit community discusses tips for design / layout / manufacture of Printed Circuit Boards (PCB), including schematic capture, PCB reviews, 3D part models, assembly. Facebook fans 1,187,182. Twitter followers 553,217. Aurora, CO About Blog Advanced Circuits specializes in printed circuit board manufacturing and PCB assembly, including PCB prototype and production circuit boards. Read the Advanced Circuits blog to get the latest information on the PCB manufacturing and assembly industry. Facebook fans 2,636. Twitter followers 1,187. Silicon Valley, CA About Blog Bay Area Circuits has been serving the PCB needs of high-tech electronics manufacturers, contract assemblers, and design engineers for over 40 years. By focusing on quick-turn prototyping and production while leveraging innovative, high quality designs, Bay Area Circuits has become the PCB supplier of choice for discerning customers around the world. Follow this blog to know about PCB design and fabrication, industry news and other interesting tidbits. Facebook fans 1,754. Twitter followers 5,176. Sunnyvale, CA About Blog Sierra Circuits handles all aspects of PCB production from PCB layout and design to assembly and manufacturing. Follow this blog to get news, tips, and articles for assembling and manufacturing PCB boards. Facebook fans 816. Twitter followers 2,315. About Blog Follow this blog to know about perf board and single-sided PCB effect layouts for guitar and bass for pedal building enthusiasts. Facebook fans 1,274. Twitter followers n/a. Ohio About Blog News, events, and articles related to your electronic manufacturing needs. Levison Enterprises is a full service design to build/build to print manufacturer that takes ideas/designs and turns them into a finished quality built product. Facebook fans 30. Twitter followers 9. About Blog Welcome to the PCB Train blog where you can find posts all about electronic design, printed circuit boards and gadgets! Facebook fans 2,402. Twitter followers 1,098. West Midlands, England About Blog Clarydon specialises in Printed Circuit Board solutions, including contract circuit board manufacture, PCB Assembly & a wide range of PCB Services. Follow this blog to get articles on PCB manufacturing. Facebook fans 128. Twitter followers 106. Glasgow, Scotland, UK About Blog European Circuits is a independently owned company specialising in the design, manufacture, assembly and test of Printed Circuit Boards. Follow this blog to find out all the latest news in the world of European Circuits. Facebook fans 1,233. Twitter followers 1,385. About Blog PCBWell is a professional PCB manufacturer, from prototyping to large volume production. It has over 20 years experience on PCB technology. It optimises the PCB industry, provide One-Stop service, including PCB layout, PCB manufacture and PCB assembly. Follow this blog to know more about PCB manufacturing, PCB assembly and much more. 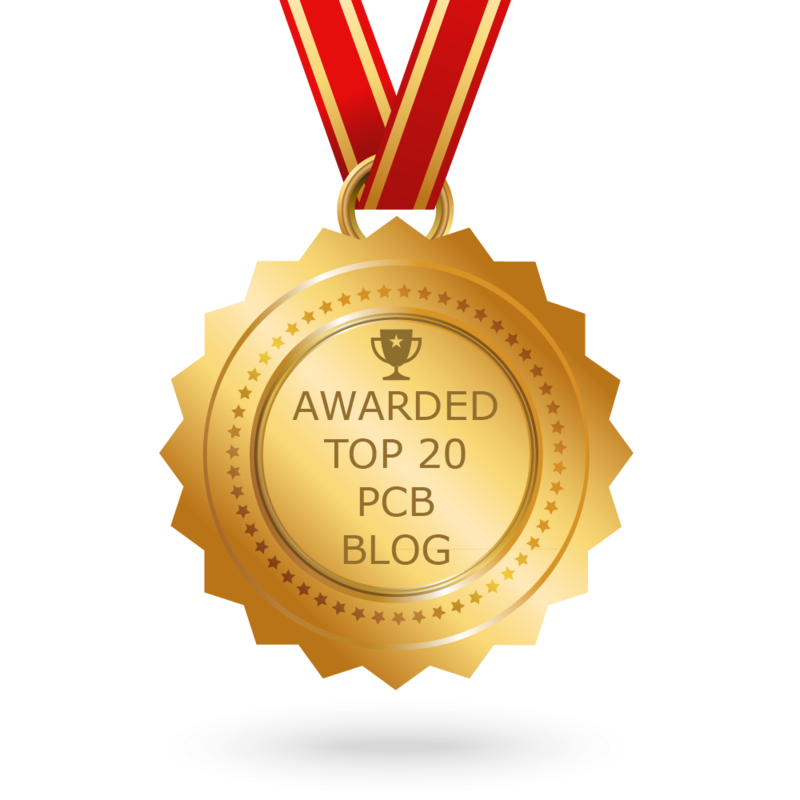 CONGRATULATIONS to every blogger that has made this Top PCB Blogs list! This is the most comprehensive list of best PCB blogs on the internet and I’m honoured to have you as part of this! I personally give you a high-five and want to thank you for your contribution to this world.